I know what you’re thinking. I thought you guys pushed counting macros and not meal plans? First off, if you are eating food, you are doing macros. Macros make up everything we eat the only thing you are doing now is actually understanding the amount of each you’re putting in your body to optimize performance, aesthetics, and overall health. The problem we run into is taking someone who doesn’t really know what a calorie is, or veggies or fats and having them track 3 to 4 numbers to the T. This can be pretty stressful and overwhelming, which in return makes them not adhere. So in this blog I’m going to give some times when a “meal plan” might be the better option and why. Let’s go! Fewer Cravings. I know that the data out there suggest that allowing people to have that one cookie helps them stick to the diet better because you aren’t taking the food away from them permanently. When you tell someone they can’t have something, they want it more and in 90% of cases I agree with this. But you also run into the “ahh screw it” affect. This is when you allow that person one cookie, but they don’t have the self-control built up yet to just have one and they end up eating the whole pack. Or they feel like they slipped on their diet a little bit and messed their macros up some, so the day is wasted already and I might as well indulge some more. These are both places we want to avoid. So with that 10% I like to start them off with eliminating the food for a little while, knowing that we are going to work those back into the diet down the road once they have a solid base and a more sturdy relationship with food. Frees Up Time. A bunch of my clients have extremely busy lifestyles, whether it’s with work, family, or both running them left and right all day long. What happens a lot is they either forget to eat a meal or just grab something small on the go or realize, uh oh, it’s nine o’clock at night and I still have 70g of protein and 40g of carbs to hit. That’s when they say screw it and don’t hit their numbers or lets cram it all in real quick and end up storing more fat than wanted because they had to go to bed 15 minutes after they eat. Instead, think ahead to what meals are going to be the hardest for you to hit and meal plan them ahead of time. This will still give you flexibility for certain meals but a rigid base to help guarantee macronutrients get met for the day. Better Gym Performance. We all know how it goes when we forget to eat and end up cramming in our macros late at night. The perks; it allows for that bowl of ice cream you’ve been craving for weeks. Downside; we might not have used our macronutrients to their full potential. I know nutrient timing isn’t the most important aspect of proper diet, but you can’t say it wouldn’t help at all with performance. If we meal plan higher carbs around our workouts, we will lift better because we have more energy and recover better because we refilled our glycogen stores at a more absorptive state. More Consistent Weigh-ins. Last but not least, having a more structured nutrient timing approach will allow for more accurate and realistic weigh-ins. I tend to have my clients weigh first thing in the morning after waking up and using the bathroom. If you ate a salad with some chicken breast verse having a ton of carbs leftover and eating a pizza, I can guarantee the number on the scale is going to be drastically different. By keeping the majority of your carbs planned around your workout and not shoved into the last meal of the day, you will be way more consistent on your weigh-ins. This will give your coach a more accurate depiction of your true weight and not the Mexican food you ate at 9PM the night before, so he can make the proper changes to your macronutrients. Conclusion. Tracking macros is definitely the most accurate method we know of to date on getting the proper nutrients in while still having some flexibility to your diet and lifestyle. 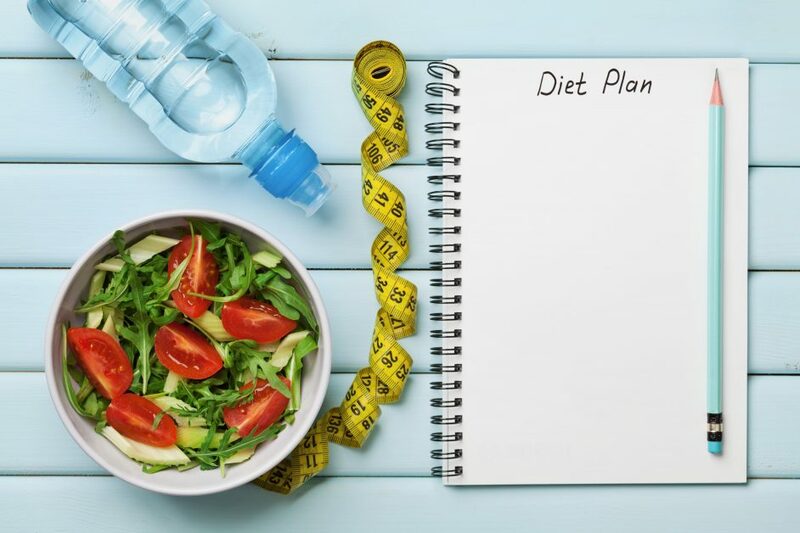 But if we are beginners or struggling to see the results we want or deserve, adding a more “meal plan” base to your tracking could truly help make your goals a reality. If you liked this blog, have any questions, or would like to talk about setting up a nutrition consultation, you can email me at cody@forge-rx.com.